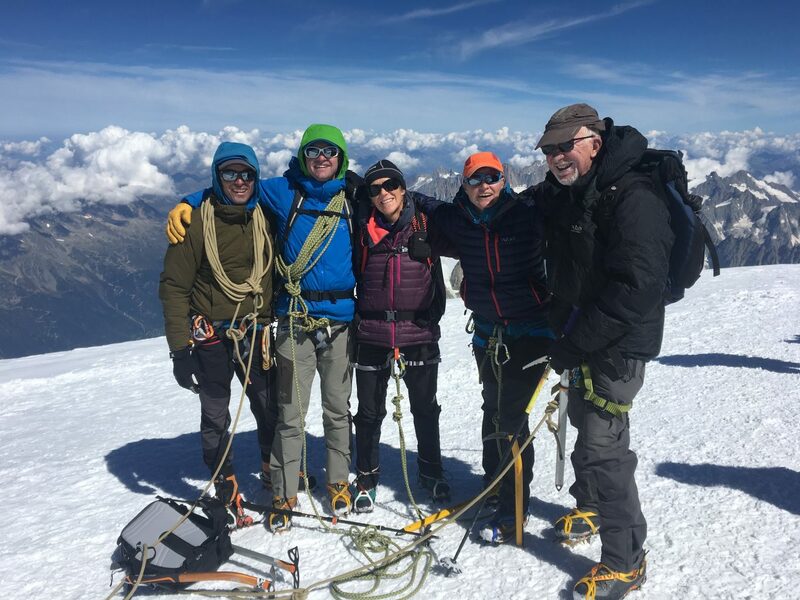 Climb Mont Blanc with a group or as a private trip with one of our experienced IFMGA Mountain Guides. Mont Blanc is on our doorstep from our Chamonix Alpine base and our tried and tested program will prepare you for the ascent whilst giving you the best chance of reaching the summit. For full details of the peak and photos check out the route page here. 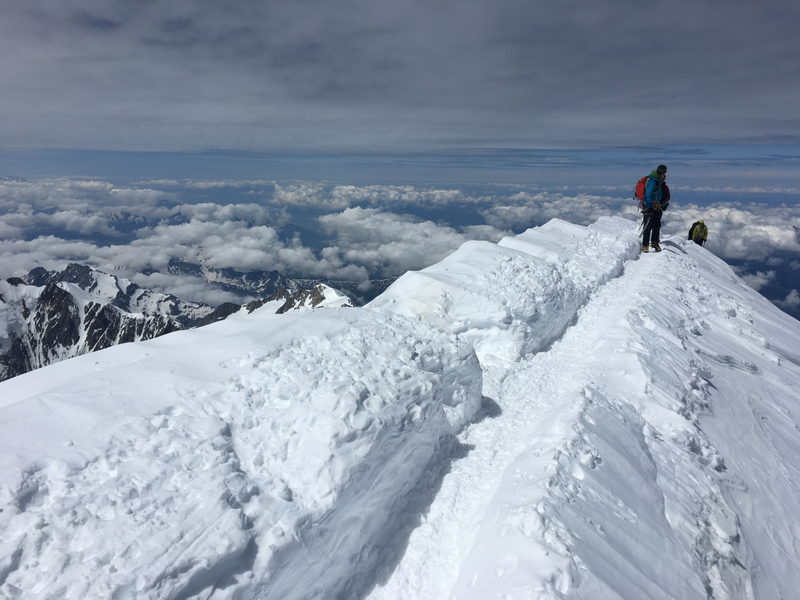 Although no prior mountaineering experience is required to climb Mont Blanc, you will need to be physically and mentally fit. 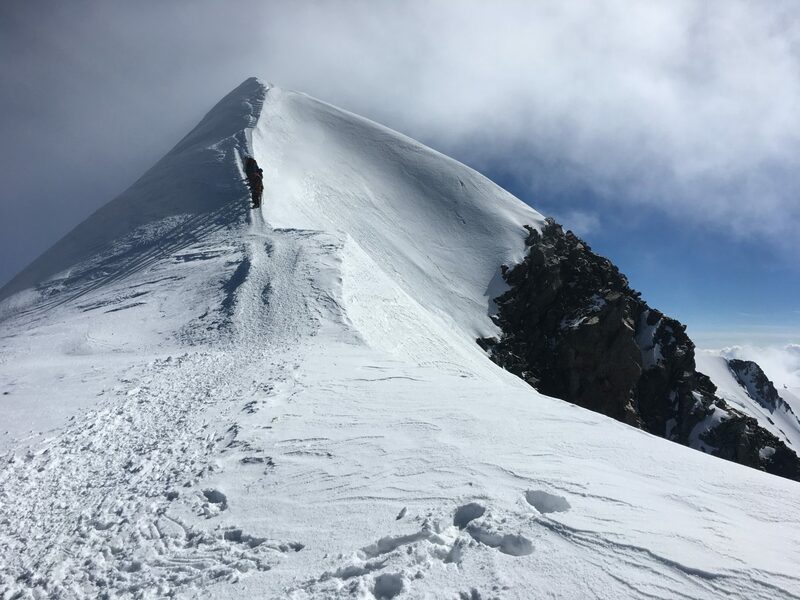 Some good long days out in the UK hills is good preparation, especially getting in some vertical ascent similar to Mont Blanc. 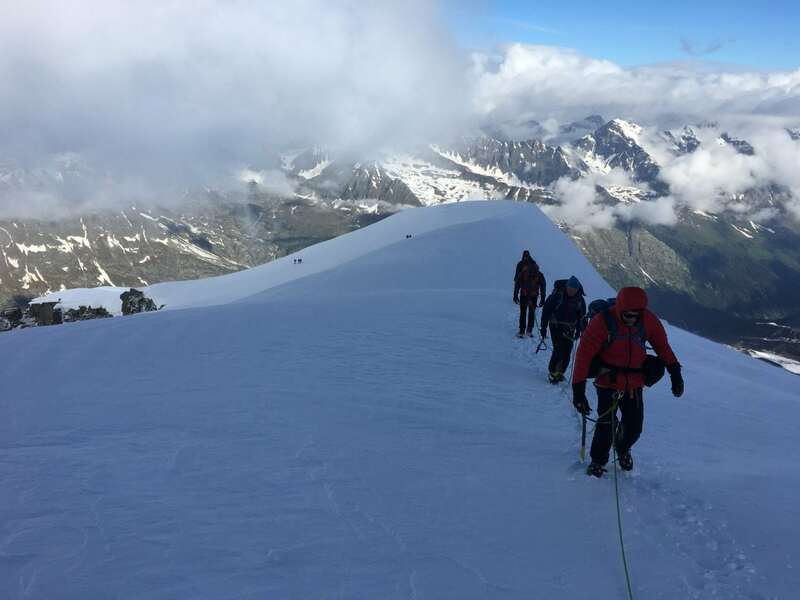 As part of our training, preparation and acclimatisation we climb the 4000m Grand Paradiso in Italy. 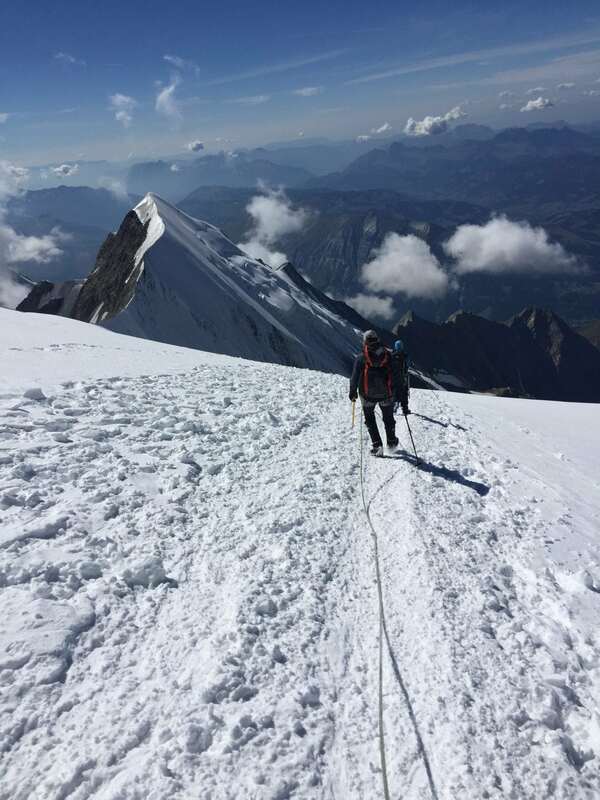 After a night in Chamonix we then spend three days on Mont Blanc itself. 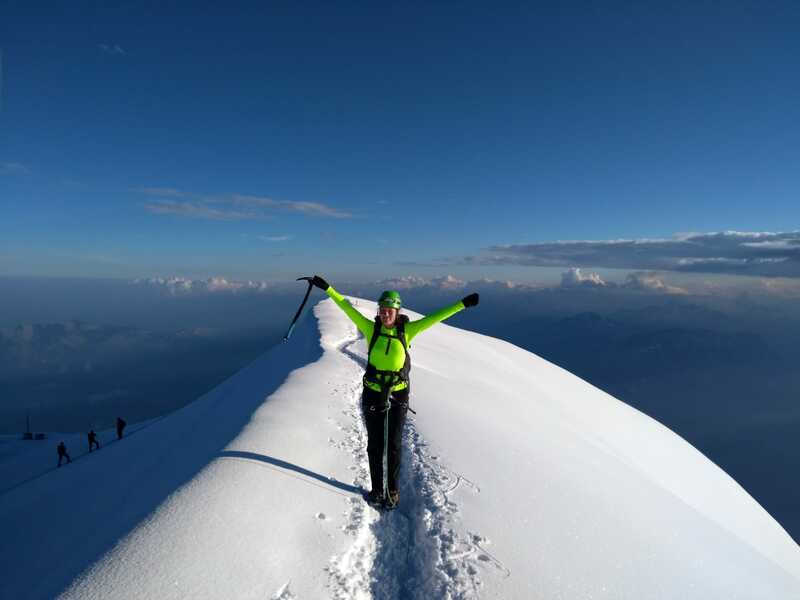 Please have a read the Mont Blanc page for full itinerary details. 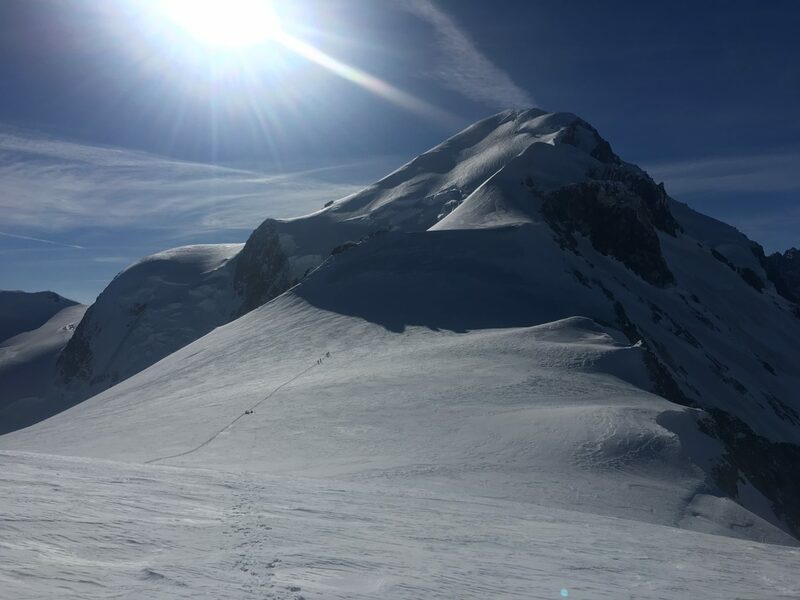 Guiding fees, logistics & travel within the Chamonix valley. Four nights in mountain huts as per the itinerary. Lift passes, Chamonix accommodation, equipment rental, insurance, flights and any other expenses not listed above. 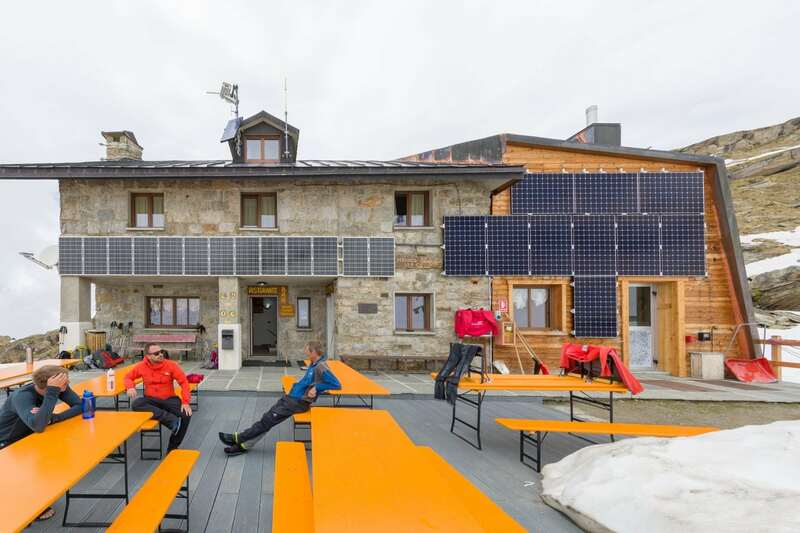 You can add half board Chamonix accommodation to your booking here. 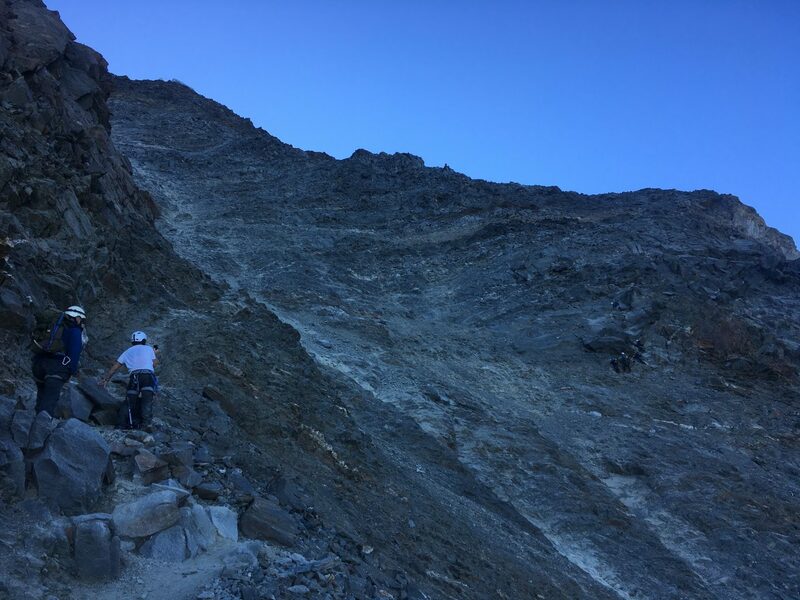 This trip needs two climbers to run. 2019 prices: 1995€ per person. 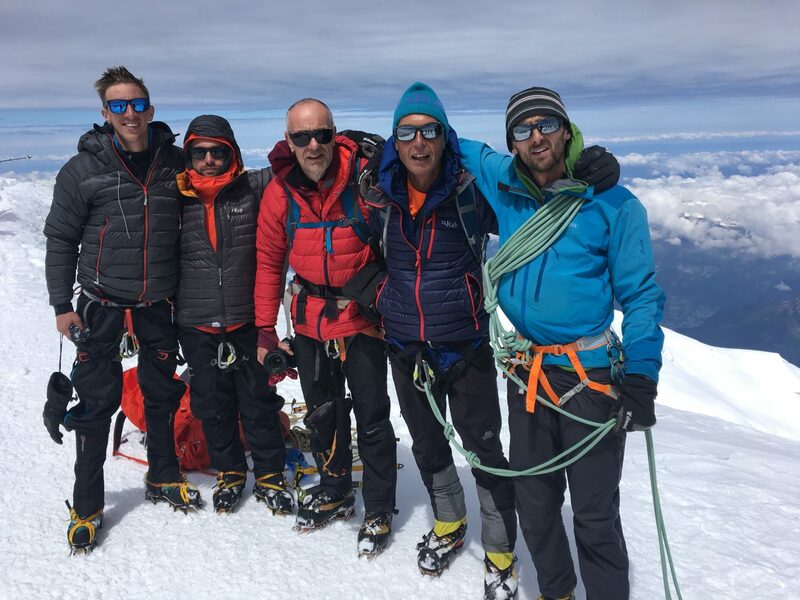 1:4 for three days, then 1:2 on Mont Blanc itself.